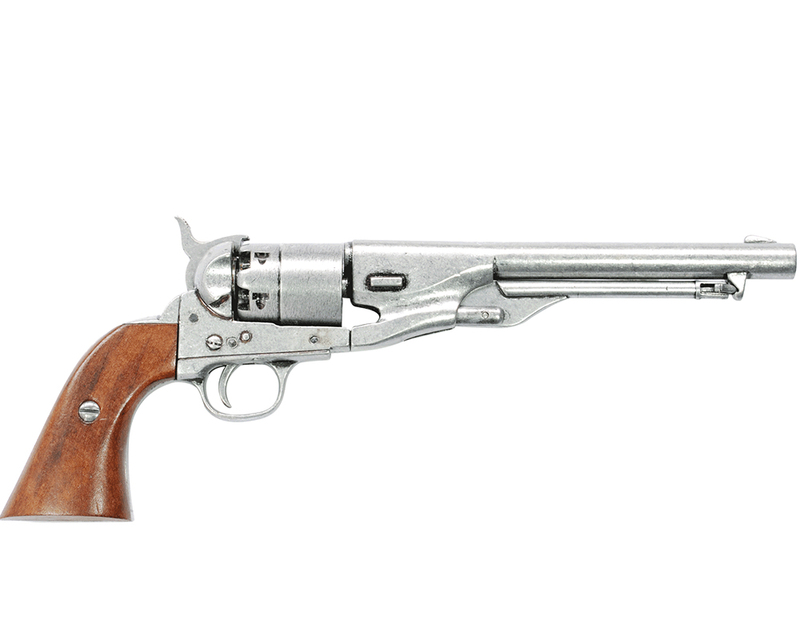 Besides Colts were other pistols used by the Army before and during the Civil War. One of the famous was a French Revolver " Le Mat". It was a .42 caliber 2-barrel 10-shot percussion cap pistol. 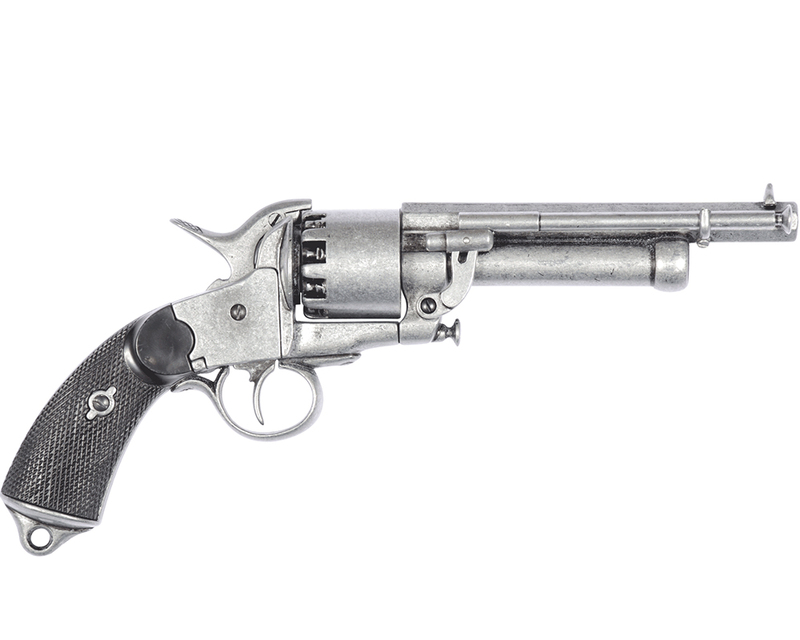 What makes this revolver unique is the addition of a second smoothbore barrel, of approximately .63 caliber, underneath the barrel. 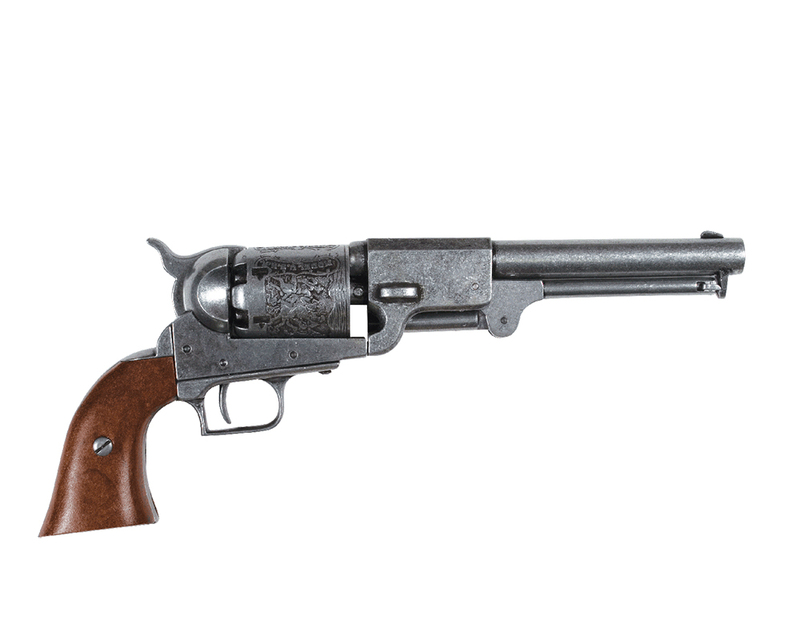 This larger barrel was designed to fire buckshot. The top of the hammer was fitted with a pivoting striker that could be rotated to fire the .42 caliber rounds or changed to fire the lower, larger barrel. 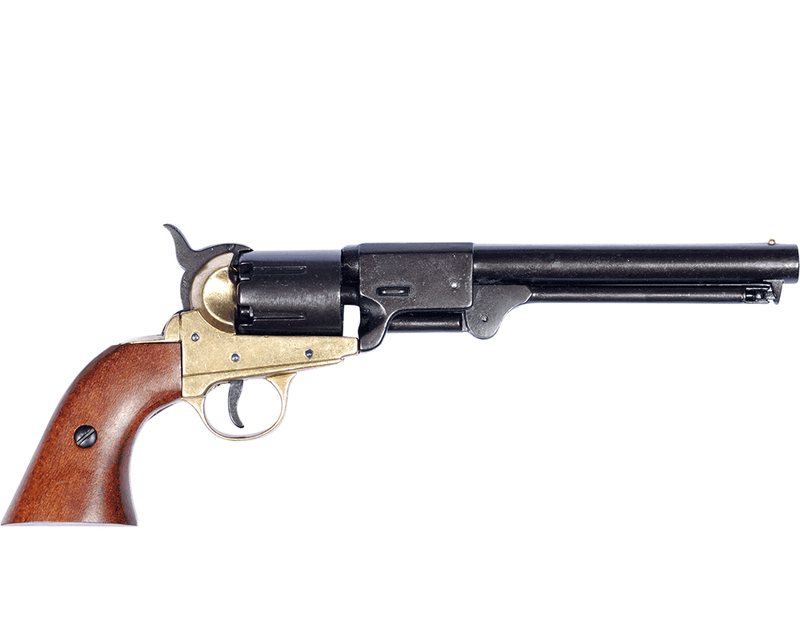 This non-firing replica has a working single action and simulated checkered resin grips.Overall length: 14''; Weight: 3.6 lbs. Many of these revolvers were purchased by the Confederacy and used by such famous high-ranking Confederate officers as J. E. B. Stuart.